It certainly won’t be an exaggeration to say that Nokia 9 PureView has generated a considerable amount of hype in the past couple of months. The alleged Nokia flagship has been a regular to the rumor mill town with a number of leaks surfacing on the internet. Though HMD Global recently acknowledged (sort of) that a smartphone called Nokia 9 is in the works but the Finnish company has not given any timeframe or any additional details about the upcoming device. As reported, the rumors in the past have given us a brief idea of what to expect in terms of specifications when HMD Global plans to launch its top-tier smartphone in the coming months. Regardless of the fact that it will be one of the first flagship smartphones that HMD Global will launch after resurrecting the Nokia brand, one highlight that everyone is excited to see it the camera capabilities of the device. According to rumors, the Nokia 9 PureView is likely to come with a Penta-lens camera set up on the back along with ZEISS optics. A number of leaks over the past few weeks seem to have confirmed this fact. The reason everyone is almost confident is due to the fact that the leaks are coming from smartphone case makers. Smartphone case makers are one of the first in the market to get access to the design of any upcoming device so that they can keep the accessories ready for the launch. Now, another report has been spotted on the internet further confirming that HMD Global will add a Penta camera setup on the back of the device. 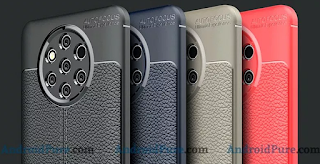 The authors at Android Pure have posted high-quality renders of what seems to be cases for the Nokia 9 PureView. These show the cases having seven holes at the back, with six arranged as vertices of a hexagon and the seventh in the middle. Of these, five are for the smartphone’s lenses, one is for the LED flash module, and one is for the important optic sensors. 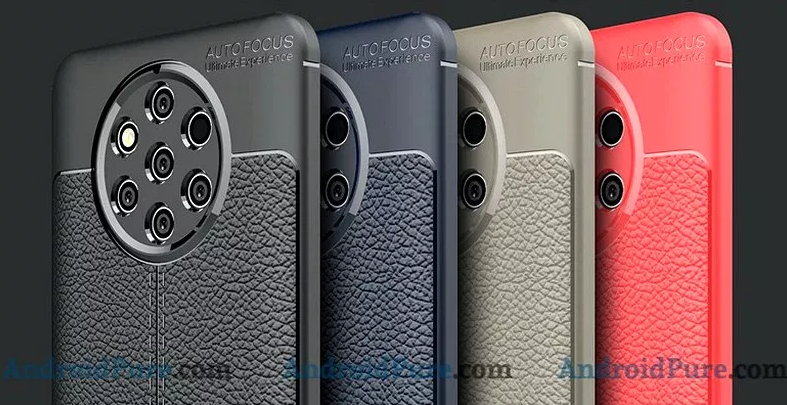 If these cases are indeed the real, it’s safe to assume that Nokia 9 PureView could launch soon. It’s worth mentioning that the smartphone recently received Bluetooth certification as well. Apart from the Penta-lens rear camera system, Nokia 9 PureView is expected to come with a 5.99-inch notch-less display, a Qualcomm Snapdragon 845 chipset, and a 4,150mAh battery with fast-charging support.